Sylvia (Banal) Perell, 98, died peacefully surrounded by family Friday, January 18, 2019 in Hibbing. She was born May 9, 1920 to Enrico J. and Erminia N. (Frasnelli) Banal in Buhl, Minnesota where she grew up, graduating from Martin Hughes High School in 1938. She attended Virginia Community College, and graduated with a medical technology degree from St. Teresa College, Winona, Minnesota. Sylvia worked at hospitals in Janesville, Wisconsin; Lima, Ohio; and Springfield, Illinois before returning in 1946 to the Iron Range to work at the Hibbing General Hospital. In Hibbing she met and married Dr. Bruno Perell DDS. Sylvia and Bruno raised their family in a home filled with Italian traditions, food and music. Sylvia had a deep love of nature and cherished summers at the family’s Little Sturgeon cabin where she cultivated geraniums, wild flowers, an herb garden and the many trees she planted. For many winters she enjoyed the nature of Sanibel Island. 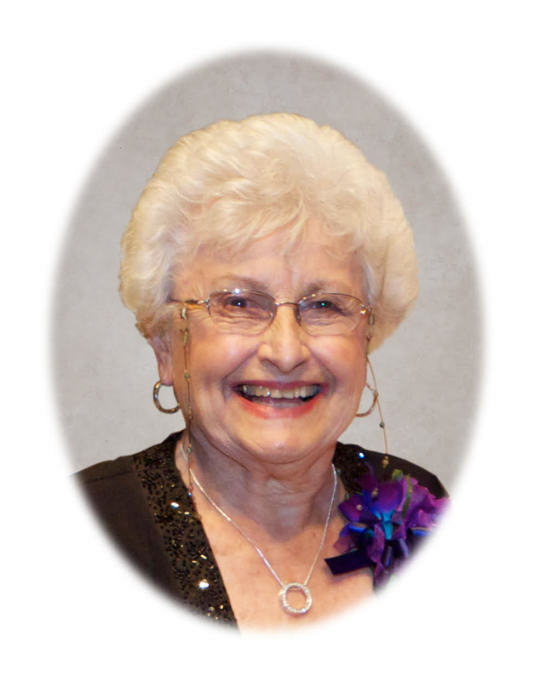 She was an avid reader and walker and started each day with a crossword puzzle. Sylvia was a gifted cook and shared that love with family and friends. She will live on through the many beloved recipes she leaves behind. Sylvia was active in the community and a generous supporter of many organizations. She was a member of Blessed Sacrament Church, PEO, Community Concert Association, Community Theater, and the Trentini Club to name a few. She is preceded in death by her husband Dr. Bruno A. Perell, and their infant daughter; parents Enrico and Erminia Banal; sister Mary Seppi, and brothers Oreste Banal and Dr. Henry Banal. great-grandchildren Isaac and Isaiah Hildenbrand, Maura and Clare Fay, Connor Kuhn and Eleanor Fuchs. The family would like to thank Nancy Lucas for her love, care and support of Sylvia over the past 7 years that allowed her to live the independent life she desired; the extraordinary staff at Guardian Angels; and her neighbors at Real Life South. A Celebration of Life and Memorial Mass will be held at Blessed Sacrament Church on April 12, 2019 at 11:00 am. Visitation will be at the Church beginning at 10:00 am. Memorials are preferred to Hibbing Foundation, Hibbing Public Library Children’s Fund, or Blessed Sacrament’s Side Lake Chapel. Arrangements are by the Dougherty Funeral Home of Hibbing.